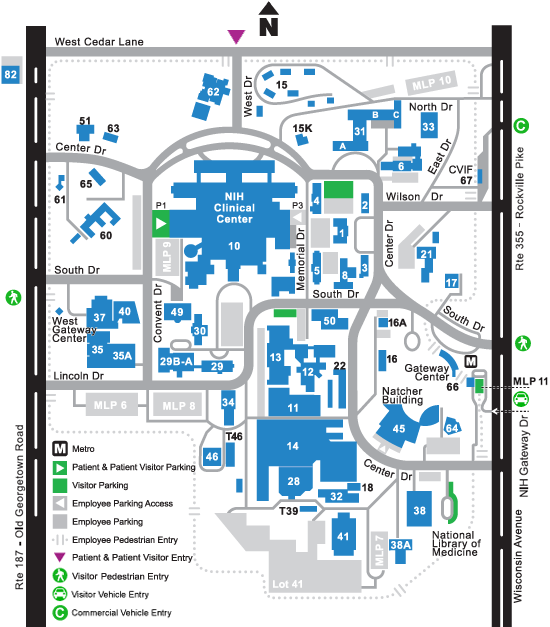 Note: if you are not a patient, you must follow the visitor instructions to enter the NIH campus. From Baltimore and All Points North of Washington, D.C.
Once on campus, take a right onto Center Drive. Continue through campus and take a right on West Drive. The Inn is immediately on the left. On the Metro (subway system), take the Red Line to the Medical Center stop. At the top of the escalator proceed to the Gateway Visitors Center.